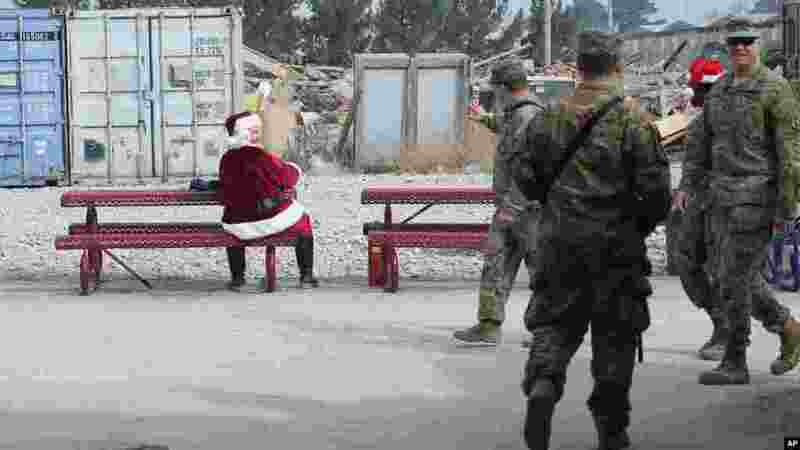 1 A U.S. soldier dressed as Santa Claus waves to fellow troop son Christmas day at the U.S. air base in Bagram, north of Kabul, Afghanistan, Dec. 25, 2015. 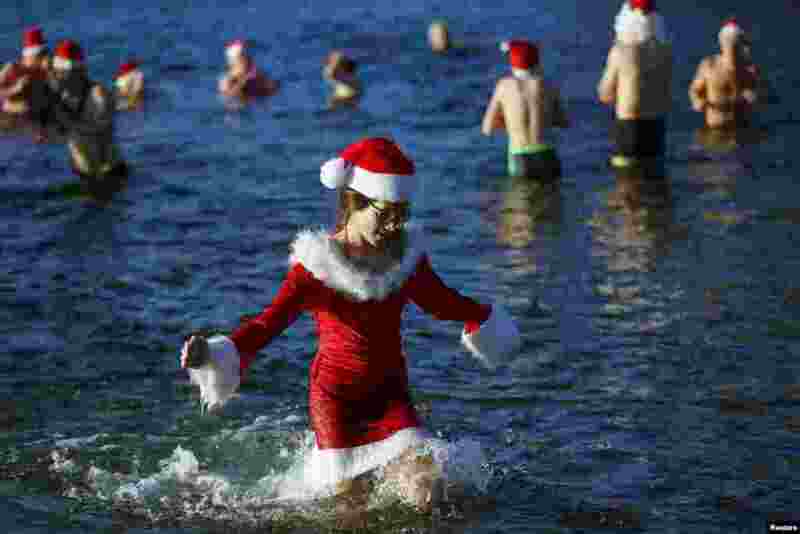 2 Members of the ice swimming club "Berliner Seehunde" (Berlin Seals) take a dip in the Orankesee lake as part of their traditional Christmas swimming session in Berlin, Germany, Dec. 25, 2015. 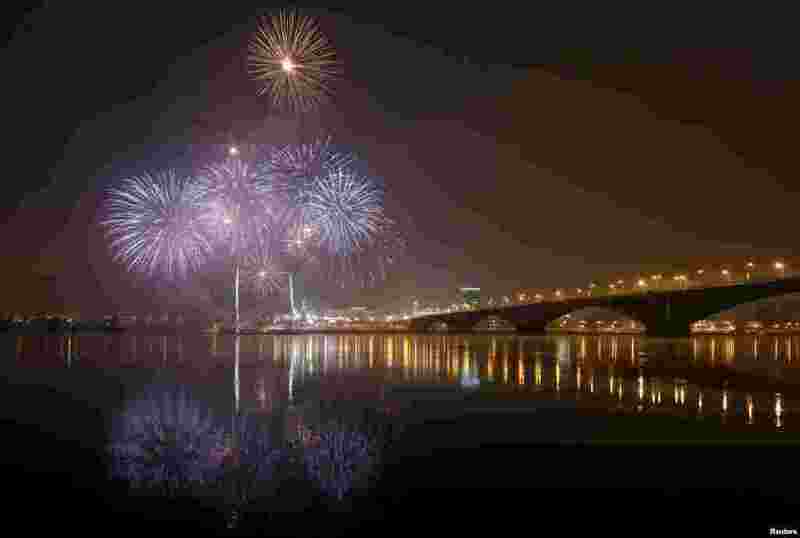 3 Fireworks are reflected in the waters of the Yenisei River during a ceremony to open the city's Christmas and New Year tree in Krasnoyarsk, Russia, Dec. 25, 2015. Picture taken with long exposure. 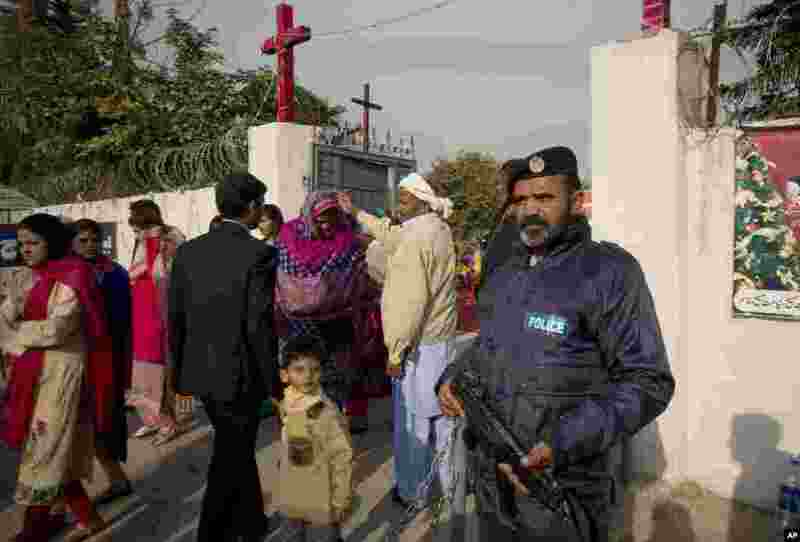 4 People from Pakistani Christian community leave a local church after attending Christmas mass at a local church, under security, in Islamabad, Pakistan, Dec. 25, 2015.